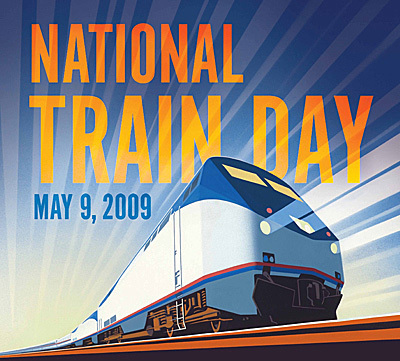 On Saturday, May 9, 2009, the Michigan Association of Railroad Passengers (MARP) and fellow organizations will join Amtrak in celebrating its second annual National Train Day at stations across the state of Michigan. This celebration marks the eve of the 140th anniversary completion of the first transcontinental railroad at Promontory Summit, Utah in 1869. It was here that a “golden spike” was driven into the final tie that joined the Central Pacific and Union Pacific railroads, connecting the east and west coast together for the first time by rail. Amtrak is using National Train Day to highlight the growing popularity of trains as a convenient, energy efficient, environmentally sound ways of travel. National Train Day spokesman is TV personality and American Idol judge Randy Jackson. Amtrak is sponsoring major events in Los Angeles, CA, Chicago, IL, Philadelphia, PA, and Washington, D.C… MARP has organized celebrations to take place in the following communities across Michigan (please see the below list for locations, times and festivities of each celebration). 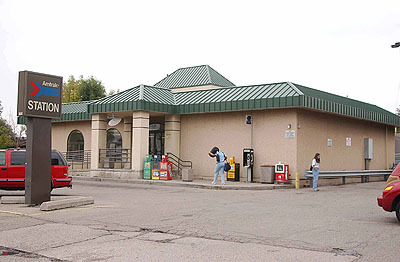 All events are on Saturday, May 9, 2009 at the respective cities’ Amtrak stations unless otherwise noted. Description: Join us as we help Amtrak celebrate National Train Day at the historic Pere Marquette Railroad station in Bangor, Michigan. 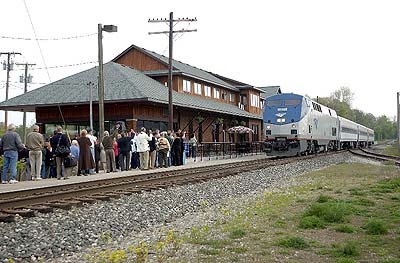 Witness the presentation of a proclamation presented to Amtrak’s Pere Marquette from the Mayor of Bangor, followed by festivities taking place at the station that include train exhibits, a live model railroad display, entertainment, trip planning, giveaways and so much more. Description: Join us as we help Amtrak celebrate National Train Day at the historic Michigan Central Railroad station in Niles, Michigan. Witness the presentation of a proclamation presented to Amtrak’s Blue Water from the Mayor of Niles, followed by festivities taking place at the station that include train exhibits, a live model railroad display, entertainment, trip planning, and so much more. Description: Join us as we help Amtrak celebrate National Train Day at the Kalamazoo Transportation Center and Kalamazoo Model Railroad Historical Society facility in Kalamazoo, Michigan. Witness the presentation of a proclamation presented to Amtrak’s Blue Water from the Mayor of Kalamazoo, followed by festivities taking place at the station and model railroad facility that include train exhibits, a live model railroad display, trip planning, and so much more. Description: Join us as we help Amtrak celebrate National Train Day at the nation’s oldest train station in continuous active use, the historic Michigan Central Railroad station in Jackson, Michigan. Witness the presentation of a proclamation presented to Amtrak’s Wolverine from the Mayor of Jackson, followed by festivities that include exhibits, a live model railroad display, trip planning and so much more. Description: Join us as we help Amtrak celebrate National Train Day at the historic Grand Trunk Western station in Lapeer, Michigan. 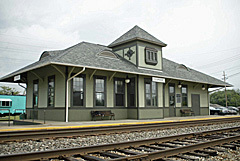 Witness the presentation of a proclamation presented to Amtrak’s Blue Water from the Mayor of Lapeer at 6:00am, followed by festivities taking place at the station beginning at 10:00am that include train exhibits, a live model railroad display, trip planning, and so much more. Description: Join us as we help Amtrak celebration National Train Day at the Amtrak station in Detroit, Michigan. Witness the presentation of a proclamation presented to Amtrak’s Wolverine from the Mayor of Detroit, followed by festivities taking place at the station that include train exhibits, trip planning and so much more. Want to volunteer at any of the above events? Contact your MARP Editor. Your help is appreciated! MARP encourages its members to spread the word of the importance of passenger trains at the celebrations.